Well, it did make me cry. Felt so uncomfortable. A five-year-old girl forced to beg on the streets by traffickers who beat her so she made more money has been rescued by a kind-hearted stranger. The little girl, only known as Anabelle, was rushed in for life saving surgery after being beaten with a stick to make her cry. 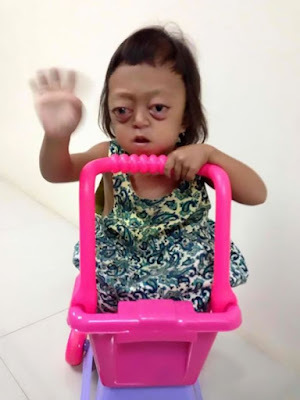 The terrified youngster, who also suffers from a rare genetic condition, lived as a slave and all the money she made begging was taken by drug dealers who held her captive. The girl was sold to a gang by her mother who couldn't afford to look after her. 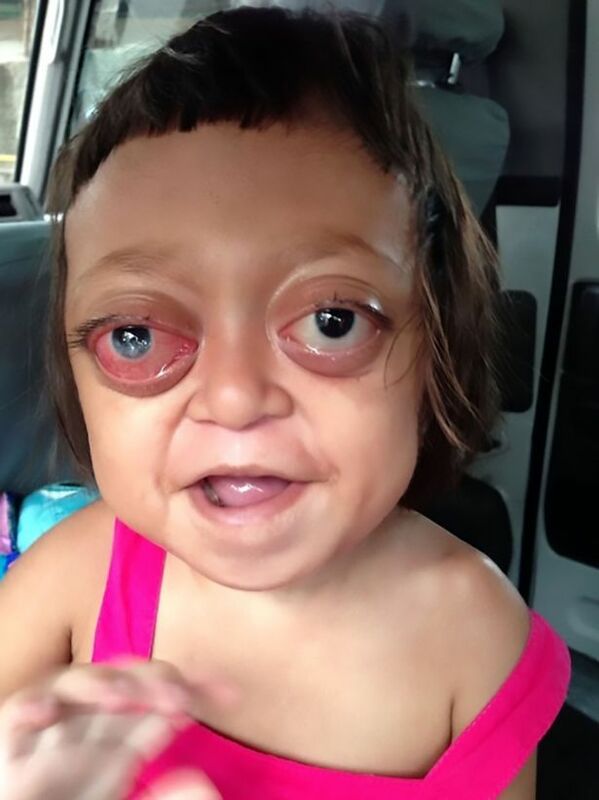 They took advantage of Anabelle’s appearance after Crouzon Syndrome left her with bulging eyes. But now she has been taken in by an organisation who rescues little boys and girls caught up in child exploitation. Her story touched the heart of Gonzalo Erize, an Argentian who worked for the Kalipay Negrense Foundation. He became Anabelle’s friend and stood by her side while she had surgery to ease the effects of Crouzon Syndrome. Gonzalo said: "The people in charge of his care told me that she woke up at night, shouting from the nightmares from the past. "But I was there ready to give Anabelle the opportunity of a better life, where she could play without pain and live worthily." 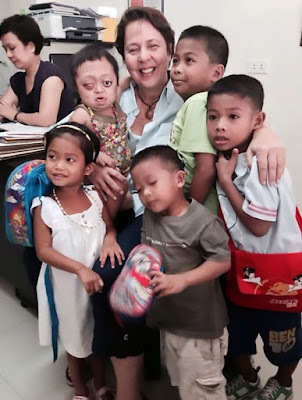 Little Anabelle was born into poverty in Bacolod city – ironically, called as the ;City of Smiles' - on the northwest coast of Negros Island in the Philippines. Her mother could not care for Anabelle and her six siblings so she sold the little girl to a drugs gang. They took advantage of Anabelle’s appearance after the Crouzon Syndrome left her with bulging eyes. 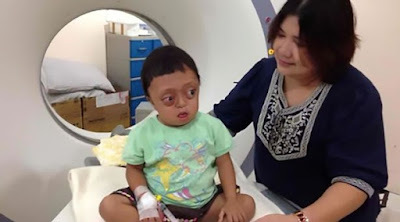 The condition, also called congenital craniofacial dysostosis is characterised by malformations of the skull which limit the development of the face and brain. Anabelle was unable to close her eyes in order to sleep which left her constantly exhausted. On the streets she was accompanied by a woman who pretended to be her mother. This woman was burnt repeatedly by the gang before being sent out to beg for money. The pair were moved from one city to another by traffickers to prevent police from locating them. 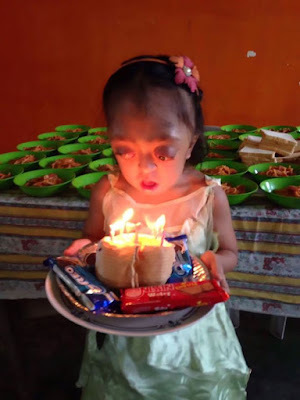 But Anabelle was eventually rescued becoming one of around 200 children helped by the Kalipay Negrense Foundation. 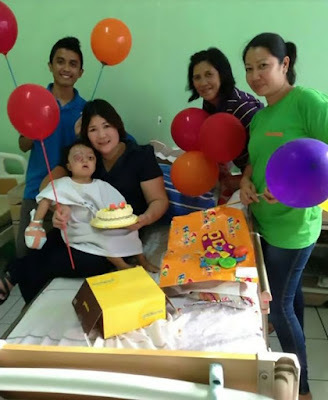 Anabelle was treated by paediatricians, dentists and neurologists in the Philippine capital of Manila, who decided she needed urgent surgery. Gonzalo flew from his home in Argentina so he could be with her while she went through the operation. He said: "I stood by her during the whole process. It was a complicated process, a very delicate situation, in which the passing of time was a constant threat. "But again all the effort was worth it. 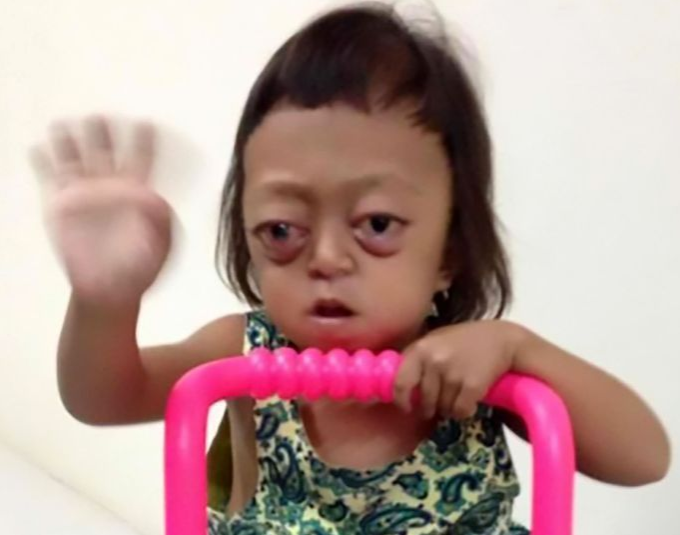 Anabelle came out successfully from cranial surgery, resulting in the brain being able to grow. "It was completely cured and today she knows the meaning of enjoying, of having fun, of living."